(New) Road to success: The home of Worcestershire CCC was bouncing on Vitality Blast quarter-final day when the Rapids beat Gloucestershire. Sports teams teach us lessons in life and business. A topsy-turvy season for Worcestershire CCC has ended in triumph. Chris Green offers five reasons why and how. Everyone needs this in all walks of life. Skipper and England all-rounder Moeen Ali led from the front with quiet, calm authority and his personal performances with bat and ball were shaped by skill, temperament and consistency. Not too high on the highs or low on the lows, Mo kept his youngers players’ feet on the ground and eyes on the prize. Other clubs had bigger star players and by mid-season Worcestershire were so injury-ravaged they could have chucked in the towel on the T20s before their campaign even began. But as all-rounder Ed Barnard pointed out in one of Saturday’s post-final match interviews, most of Worcestershire’s players came through their academy so have knitted together over several years. Not just in sport, but in all walks of life, those who work towards a common goal often achieve more than those whose target is personal glory. Worcestershire consistently won the big moments on Finals Day at Edgbaston. Like all aspects of life, in sport (and especially a brutally brief format like T20 cricket) you find out who you really are under pressure. Twice Ben Cox crunched game-changing 20+ runs off the penultimate overs of both of Worcestershire’s innings – and crucially none of Worcestershire’s bowlers suffered a similar fate as they held their nerve under pressure. In business they call it defining your USP or having differential factors. Worcestershire’s unknown quantity was 20-year-old Pat Brown, who has burst onto the scene this summer with an unseen bewildering array of deliveries that have deceived batsmen – and never more so than on Finals Day. Brown’s combined eight overs saw him take four wickets for just 36 runs – far better than any other bowler on show and match-winning stuff. 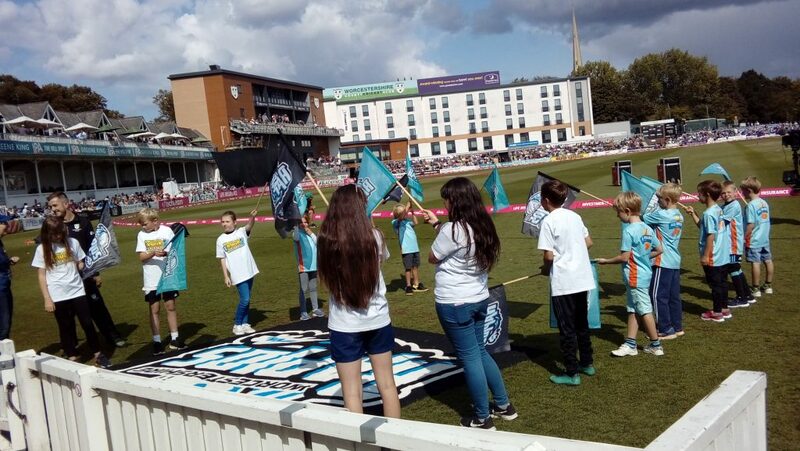 Worcestershire’s fans were awesome and arrived with a sense of expectancy none of the other finalists’ fans could match. But here’s another factor. Earlier in the summer the club appointed a well-known local lad, Steve Gravenall, as kitman. A popular choice among the players, Steve has apparently kept the players buoyant and is seen by fans as ‘one of their own’ – so much so that Steve got the biggest cheer of all when he joined the players over to celebrate with fans at the finale on Saturday evening.